Oh dear. What a number. I'm jealous, but I'm not--I wouldn't be able to keep track.. It honestly looks like a library of shoes!!!! hot damn! and here i am jealous more of the organization than the actual shoes. That lady is so cool. I'm sure there are people out there with hundreds of shoes, but thousands. Even the shoe museum probably has less. Ah, the folly of the lack of communication between husband and wife. It would have been funnier if she had the "bricks" hauled away. 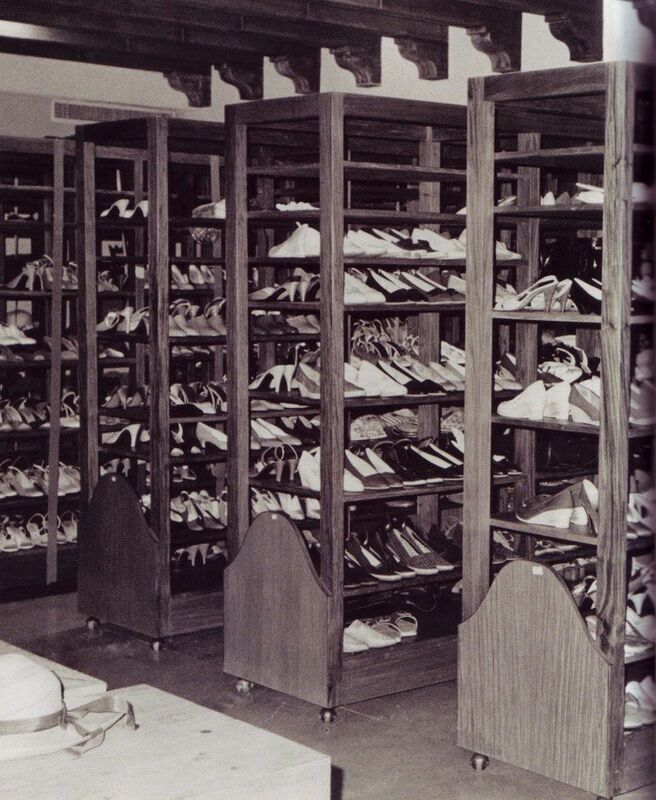 Now tell me Dr. Tennenbaum, what causes such a full blown obsession with shoes on this magnitude? Meg- I thought the same thing. Home before dark- If I knew, I would be able to cure what ails me. But that would be no fun. WOW!! that's a lot of shoes! I love shoes but I don't think I would want that many.